Be sure to show up with a full tank, we will hit the road at 8am. 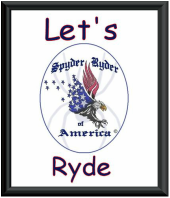 This ryde is not always exactly 200 miles to lunch, most times it about 130 to 160 miles from breakfast to lunch. Riders on all makes and models are welcome to attend. The suggested minimum donation to ride is $35 per motorcycle. We encourage you to fundraise before the event to make a real difference to the kids. Online registration is open until noon Eastern on the Friday before the ride. Onsite registration opens at 8 a.m. and closes at 10:30 a.m. This years event is at Honda HQ in Torrence CA (LA County) SRA-SD will be ryding up as a group so stay tuned fro details. At the event, we draw for a new Honda motorcycle and other great prizes (must be present to win). All participants receive free beverages, a light breakfast and lunch.